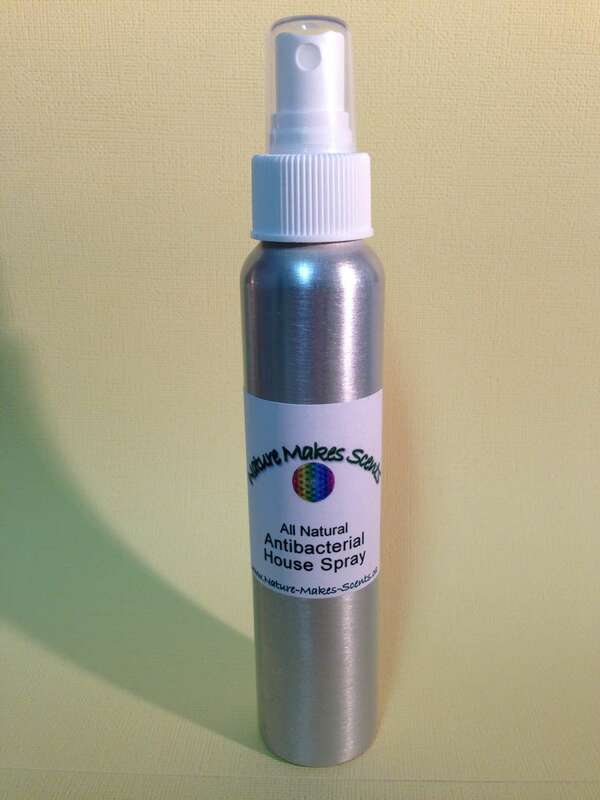 The Antibacterial House Spray can be used safely all around the house to help keep the cold and flu bugs at bay. Infused with natural anti –viral and antibacterial properties. And on top it leaves a very nice, refreshing smell without any artificial byproducts like commercial room refreshers. And on top it leaves a very nice, refreshing smell without any artificial and chemical byproducts like commercial room refreshers. Directions: Shake well. For external use only. Spray on Skin and/or surrounding air, surfaces (door knobs) Store out of direct sunlight. Do not use: during pregnancy, on children under 2 years of age. Use caution on sensitive skin.